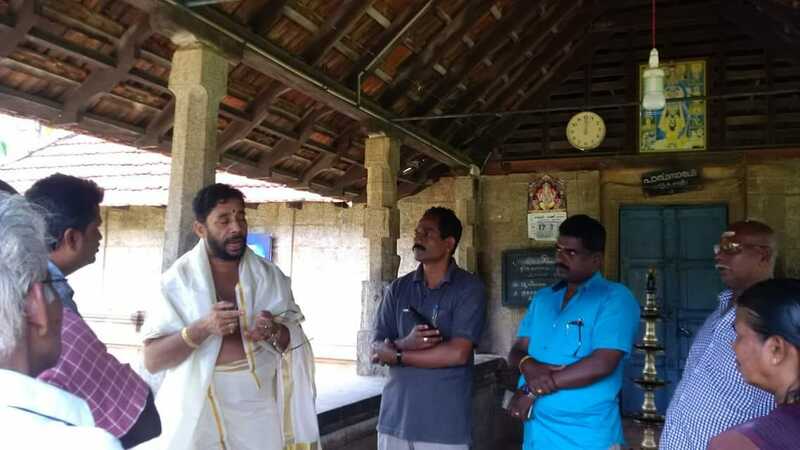 ശൈവ വൈഷ്ണവ ശക്തികള്‍ സംയോജിച്ചതാണ് മനോഹരമായ പാര്‍ത്ഥിവപുരം പാര്‍ത്ഥസാരഥി അമ്പലം.ശ്രീ മഹാവിഷ്ണുവാണ് ഇവിടുത്തെ മുഖ്യ ദേവന്‍.ഗുരുവായൂരമ്പലത്തെ അനുസ്മരിപ്പിക്കുന്നതാണ് ഇവിടുത്തെ പ്രതിഷ്ഠ. ശ്രീ മഹാദേവന്‍ ശ്രീ മഹാഗണപതി ശ്രീമഹാവിഷ്ണു ആകിയ മൂന്നു മഹാദേവന്‍മാരുടെ അപൂര്‍വ്വ പ്രതിഷ്ഠയാണ് ഇവിടുത്തെ പ്രതേ്യേകത.മൂന്നു മഹാശക്തികള്‍ പ്രതിഷ്ഠയുള്ളതിനാല്‍ ഈ അമ്പലത്തിനു വളരെയധികം ശക്തിയുള്ളതായി ആചാര്യന്‍മാര്‍ അഭിപ്രായപ്പെടുന്നു.ശ്രീ മഹാഗണപതി,ശ്രീ മഹാവിഷ്ണു,ശ്രീ മഹാദേവന്‍,ശ്രീ വരാഹമൂര്‍ത്തി,ശ്രീ വടക്കന്‍ പെരുമാള്‍,ശ്രീ കരകണ്ഠേശ്വരന്‍,ശ്രീ കൃഷ്ണന്‍,ശ്രീ ദക്ഷിണാമൂര്‍ത്തി,ശ്രീ അയ്യപ്പന്‍,ശ്രീ നരസിംഹമൂര്‍ത്തി,ശ്രീ പാര്‍വ്വതി,നാഗര്‍ എന്നിവയാണ് ഇവിടുത്തെ പ്രതിഷ്ഠ. ഇത്രയേറെ പ്രതിഷ്ഠകളുള്ള അമ്പലങള്‍ അപൂര്‍വ്വമാണ്. രണ്ട് ശിവലിംഗങള്‍ ഉപദേവതാ പ്രതിഷ്ഠയായുണ്ട് എന്നത് അമ്പലത്തിന്‍െ ശക്തിപ്രഭാവത്തിന്‍െ സൂചനയാണ്. ശ്രീ മഹാവിഷ്ണുവിന്‍െ ചതുര്‍ബാഹു പ്രതിഷ്ഠയാണ് ഇവിടുത്തേത്.പൂര്‍ണ്ണ പെരുമാള്‍ എന്നാണ് അറിയപ്പെടുന്നത്.ശ്രീ മഹാഭാരത യുദ്ധവുമായി പാര്‍ത്ഥിവപുരത്തിനു ബന്ധമുള്ളതായി പറയപ്പെടുന്നു.കാണിക്കവഞ്ചി ഇല്ലാത്ത അമ്പലം എന്ന പ്രത്തേകതയുമുണ്ട്.ഇവിടുത്തെ ഭഗവാന്‍ അത്രയ്കു സമ്പന്നനായിരുന്നു എന്നാണ് ചരിത്രം സൂചിപ്പിക്കുുന്നത്. ഇക്കാരണത്താല്‍ ഇവിടെ വന്ന് ഭഗവാനെ ദര്‍ശനം ചെയ്യുന്ന ഭക്തരുടെ സാമ്പത്തിക കഷ്ടതകള്‍ അകന്ന് സര്‍വ്വ ഐശ്വര്യങ്ങളും ലഭിക്കുന്നു എന്ന വിശ്വാസം ഭക്തരുടെ ഇടയില്‍ നിലനില്കുുന്നു.തമിഴ്നാട് കന്യാകുമാരി ജില്ലയിലെ മുഞ്ചിറ എന്ന സ്ഥലത്തുനിന്നും ഒരുകിലോമീറ്റര്‍ ചുറ്റളവിലാണ് അമ്പലം സ്ഥിതിചെയ്യുന്നത്. ആര്‍ക്കിയോളജിക്കല്‍ സര്‍വ്വേ ഓഫ് ഇന്ത്യയുടെ കീഴിലാണ് ഇപ്പോള്‍ അമ്പലമുള്ളത്.ഇവിടുത്തെ പൂജാകാര്യങ്ങളുടെ ചുമതല കന്യാകുമാരി ദേവസ്വത്തിനാണ്. ഭക്തന്‍മാര്‍ക്ക് വേണ്ടതെല്ലാം കൊടുത്ത് പാര്‍ത്ഥിവപുരത്തിന്‍െ ഐശ്വര്യമായി വിളങ്ങുന്നു ശ്രീ പാര്‍ത്ഥസാരഥി ക്ഷേത്രം.പോസ്റ്റ് വായിക്കുന്ന എല്ലാവര്‍ക്കും ഭഗവല്‍ ദര്‍ശനം സാധ്യമാകട്ടെ എന്നു പ്രാര്‍ത്ഥിക്കുന്നു. 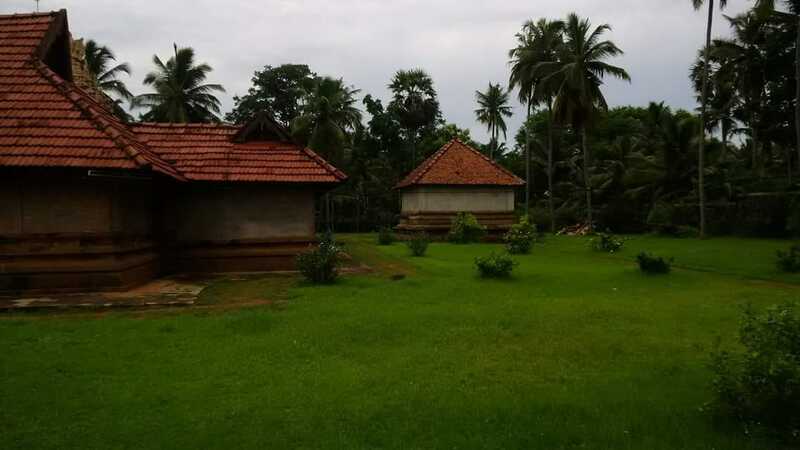 കൂടുതല്‍ വിവരങ്ങള്‍ ഗൂഗിളില്‍ ലഭ്യമാണ്. 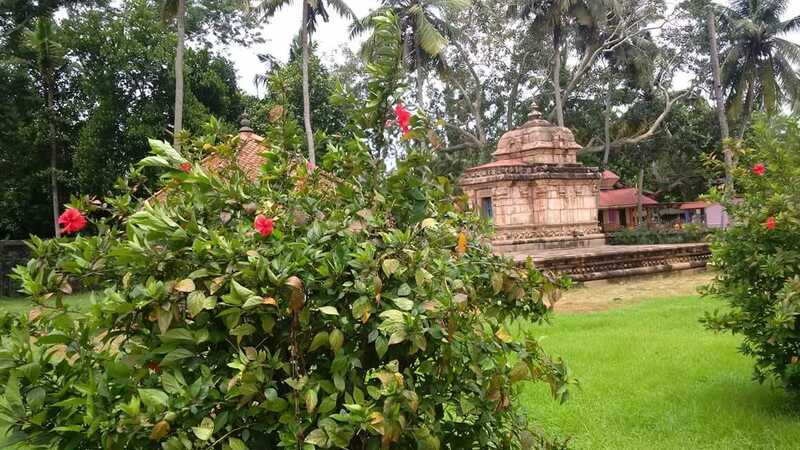 പാര്‍ത്ഥസാരഥി ടെംബിള്‍ കന്യാകുമാരി എന്ന ലിങ്കില്‍ നോക്കുക. 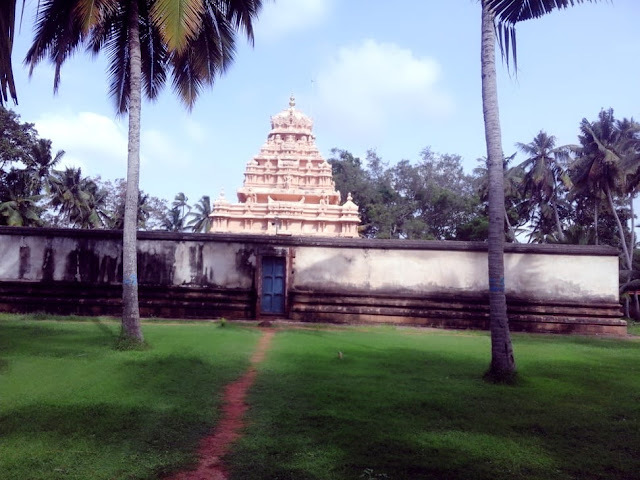 Sree Parthasarathy Temple. 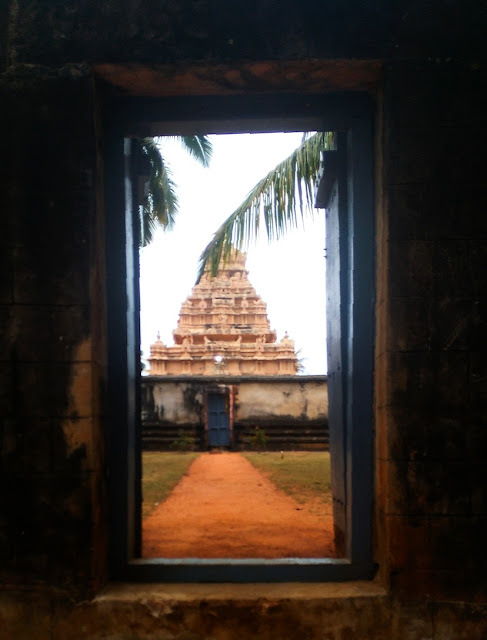 by Temples of Kanyakumari District Parthivasekharapuram , located near Pudhukkadai – off Karungal, has an ancient Parthasarathy Temple, belonging to the 9th Century AD. This place was the head quarters of Aayy Dynasty. They were basically the rulers of South Kerala 1500 years before. Their stretch was from Thiruvalla ( Sreevallabhapuram) in the north to Kanyakumari in the south. The AAYY kings claim their ancestry from Lord Krishna’s Yadhava clan (Vrishni kula of Chandra vamsam), who migrated down south after Dwaraka went into the sea. There are 5 copper plate inscriptions about this temple. Plate 4 = gives details of nearby villages to give contributions for the temple adminsitartion. Plate 5 = about the Salai, the students, code of conduct, syllabus. 7. Paarthivasekharapuram in the present day Kanyakumari district. This salai had a capacity for 95 students a year. 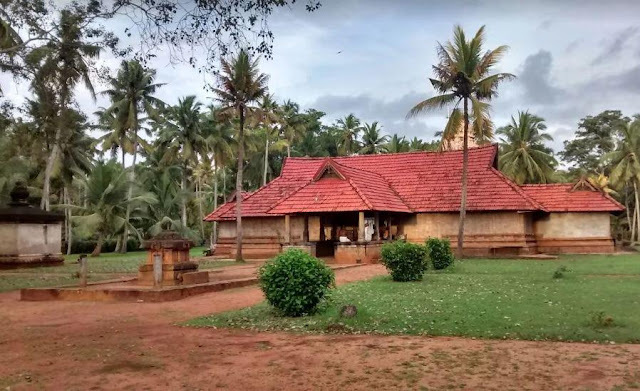 They were taught Sanskrit, scriptures and martial arts also.Parthivapuram, Thiruvattar, Trivandrum and Suchindrum were the 4 main temples during those days.After the AAYY kings there were Pandya and Chola rrulers who have ruled this land. 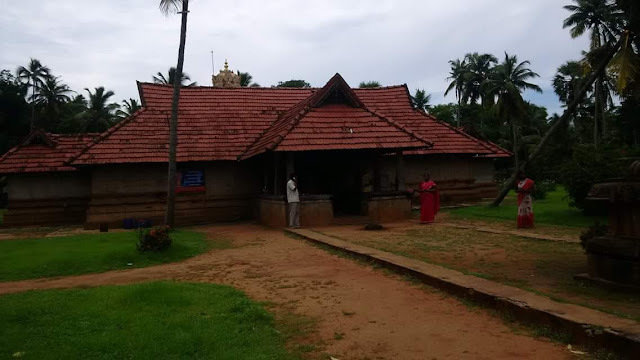 This temple doesn’t have any provisions for offering any kaanuikka vanc hi (offer of money as vow / donation to the temple in the temple box). In earlier days, starting from Vishu, the annual festival went on for 41 days. But now, it has shrunk to just 10 days during Vishu . Onam and Monthly Ekadasi days are celebrated. The main sanctum sanctorum is facing west. The main deity is a blissfilled standing stone statue of Vishnu (Parthasarathy). On the outer enclave, we have Ambaadi Kannan, Kanteswara Shiva, Vadakkum perumal, Varaha murthy, Naga peetom, shrines of Narasimha and Ayyappa. 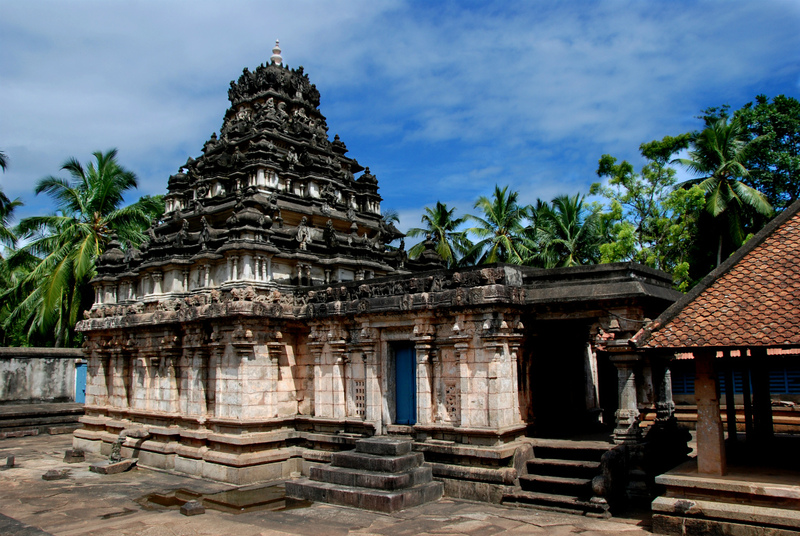 The temple is a blend of Kerala and Tamilnadu temple architecture. This is under the control of Archeological Survey of India. Temple timings = 5AM-10AM, 5PM-7PM. 6. Aaraat function happens at a bigger pond near Kadiyaapattinam. 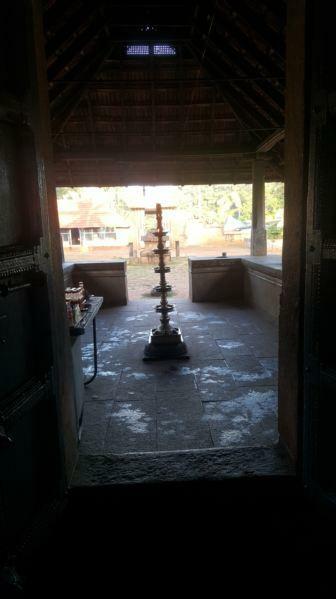 The deity for holy bath (aaraat) goes out through the east gate. The rest of the time, the east gate is kept closed. 7. The greenary is maintained by Archeological survey of India. കേരള അതിര്‍ത്തിയോടു ചേര്‍ന്നുകിടക്കുന്ന കന്യാകുുമാരി ജില്ലയില്‍ സ്ഥിതിചെയ്യുന്ന ചരിത്രപ്രസിദ്ധമായ ശ്രീ പാര്‍ത്ഥിവപുരം പാര്‍ത്ഥസാരഥി അമ്പലം ബ്രഹ്മശ്രീ സൂര്യകാലടി സൂര്യന്‍ ജയസൂര്യന്‍ ഭട്ടതിരിപ്പാട് സന്ദര്‍ശിച്ചപ്പോള്‍. 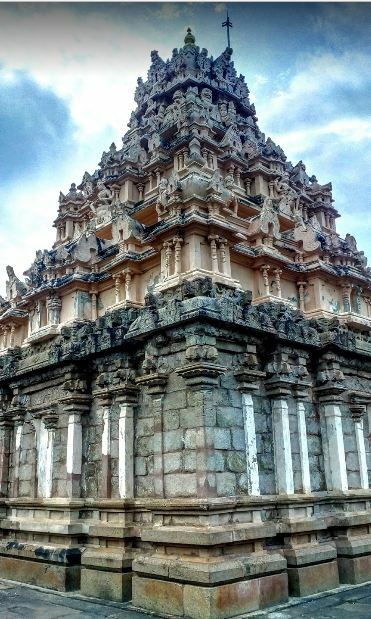 Sree Parthasarathy Temple is an ancient great temple located at Parthivapuram, a suburb of Munchirai, a peaceful village some ten kilometres west of Marthandam (Kuzhithurai Municipal Town) and five miles south-east of Kuzhithurai, the head-quarters of the Vilavangodu Taluk in Kanyakumari District of Tamil Nadu. 1.Parthivasekharapuram, today’s Parthivapuram, is inextricably bound to history, specifically to the powerful Ay Kings Kokkarunandadakkan and Vikramaditya Varaguna whom dominated the major part of later Venad. 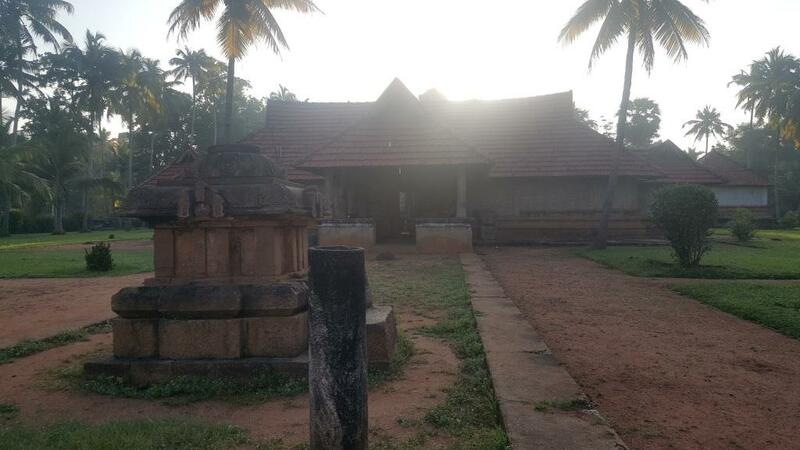 The Palayam Saasanam (in local Jargon) or Huzur Plates of Kollam 42/867 AD are exhaustive in detail on Parthivapuram referred to in them as Parthivasekharapuram. 2.There are five copper plates The first plate informs the process of land procurement, fixing boundaries, erecting a temple, consecrating the idol of Vishnu and naming the village around as Parthivasekharapuram. Establishment of a Salai (boarding school) is also detailed. 3.The second plate prescribes duties of temple servants and power suppliers, enumeration of lands granted for perpetual lamps here and directions for conduct of the Temple festival in much elaboration including derivation of income, duration, duties and so on. The third plate lists lands gifted to meet payments to temple staff and temple-allied services. 4 . The fourth plate enjoins the people of the various areas to protect charitable institutions e.g. Salais, while fixing the number of the students. 5 The last plate is weighty with abundant directives as it specifies the code of conduct of the students, their curriculum, land rent collection for the temple, rules regulating the behaviour of the temple servants towards the students and also the names of the officer directing the document and the writer of the same. 6 There is also a single Sanskrit verse in praise of a personality by name Srivallabha who is, in all probability, King Karunandadakkan himself. 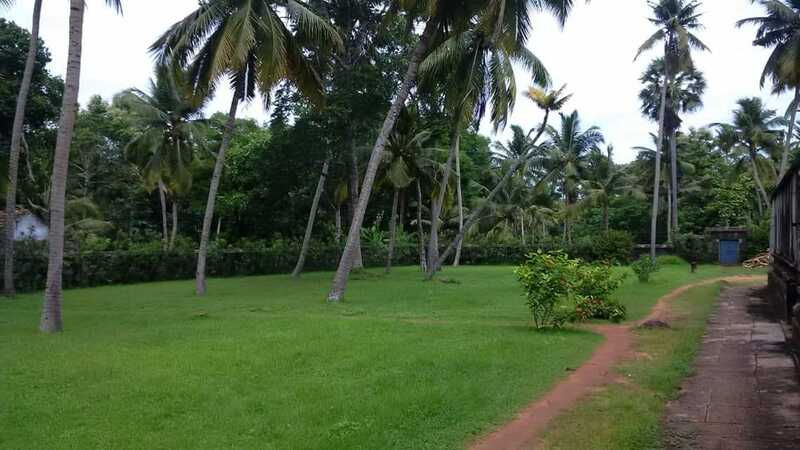 The west facing temple is located in a spacious site of 2.50 acres. 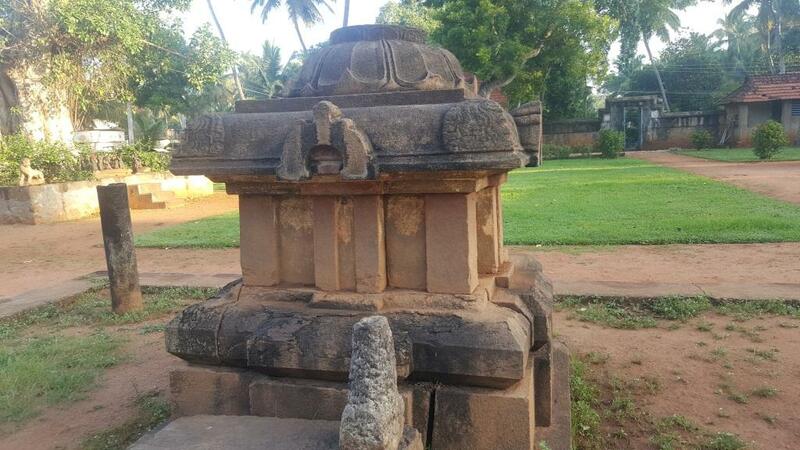 It is an example of Trihead vimana, built on a square plan from Adishtana to Sikhara. The Adishtana is of granite with the usual mouldings. The pranala in the form of a fluted shaft with curved lotus -bud end emanates from the Simha Mukha. Below the pranala is a seated Bhutagana. 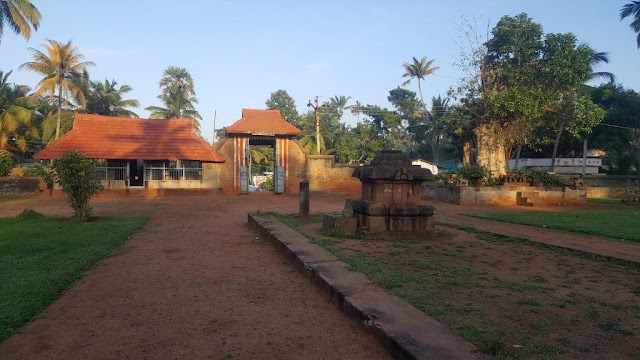 8 The Mahavishnu Temple was the recipient of the reverence and revenue from King Karunandadakkan of the powerful Ays which were continued by his more famous successor King Vikramadithya Varaguna and subsequent blue-blooded lines. Despite all this it is most surprising that the structure of the temple is not on a par in grandeur, both structural and artistic, even with many of the lesser known temples of the land. It has already been stated that the exact spot for the temple was not identified by an Ashari/mason or astrologer but by a cow-elephant. It is added here for general consumption that the Ay emblem, the elephant, became incorporated into the royal emblem of Travancore centuries hence and, traversing time, continues as part of the official emblem of Kerala State. 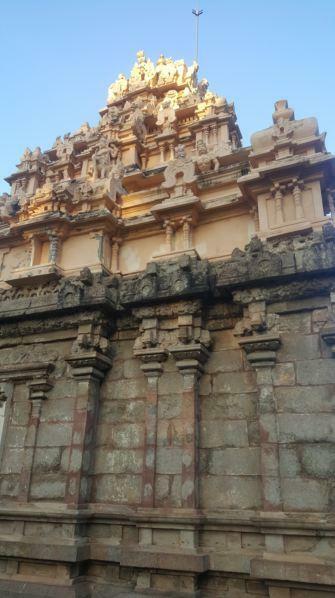 A long subjoined inscription in Tamil in Vattezhuthu script is engraved at right or north ledge of the outer base of the entrance to the Naalampalam of the temple. It is taken as the first of the five. 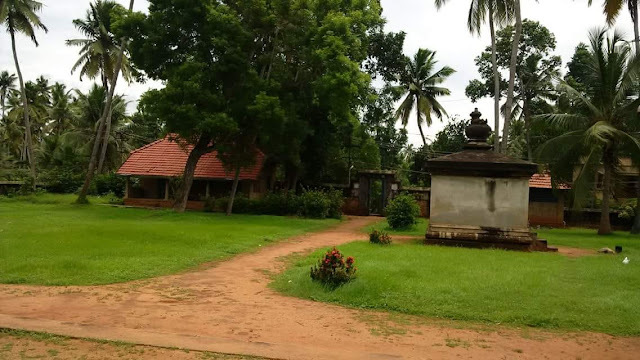 Its object is to register a gift of lands to a royal or aristocratic chief, as indicated by the surname Varman, of Valluvanadu, now in Malabar area. T.A.S. Vol. 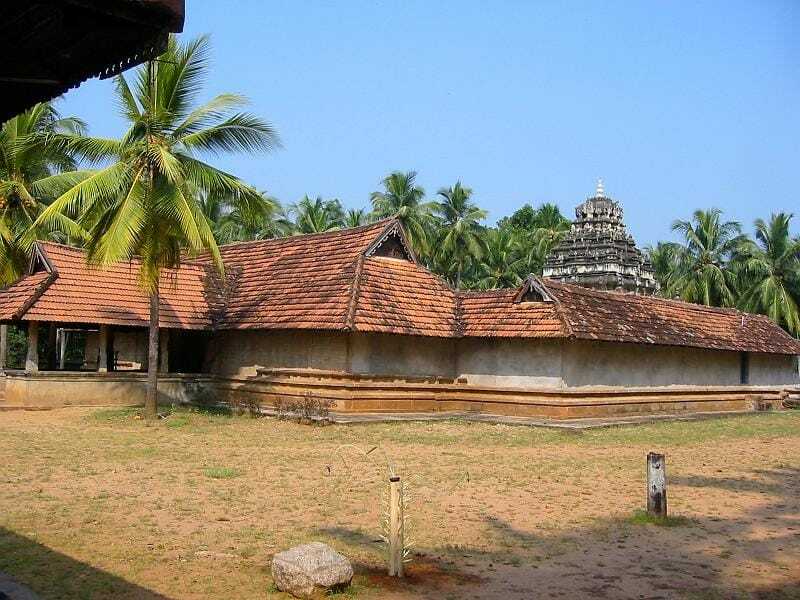 III, p.53 states that Valluvanadu was once one of the most ancient territories divisions of Chera country. It is important as it projects Chera preponderance even on regions far removed. The gift was subject to certain conditions which are dealt with in much detail. 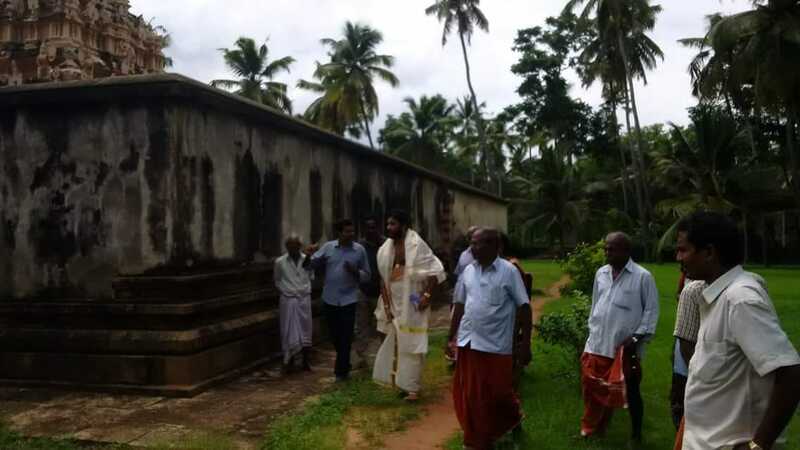 Reference is made also to a fort and a moat surrounding the land as well as to the temple at Parthivasekharapuram which became the beneficiary due to the conditions binding the grant. It speaks of the great men of Parthivasekharapuram who having assembled without deficiency (in numbers) by sounding a trumpet on the bank of the tank belonging to the temple, at Kulachchai (Kulachal, now in Kanyakumari District) unanimously gave a gift in favour of Keralan Aadichchan (Varman) alias Rajadhiraja ‘Valluvanaadaalvan’ of Karitturai. The terms ‘Rajadhiraja’ and ‘Valluvanaadaalvan (Lord of Valluvanaadu) seem to stress the royal character of the recipient. The gift deed bestows full right of enjoyment of the varied produce of the demarcated land on this illustrious individual whose fort it was the duty of the villagers of Kulachchai (Kulachal) to protect. A significant clause relating directly to the Temple is that from the income of the garden lying within the four great boundaries, one sacred lamp shall be provided to the God (Alwar) of Parthivasekharapuram. 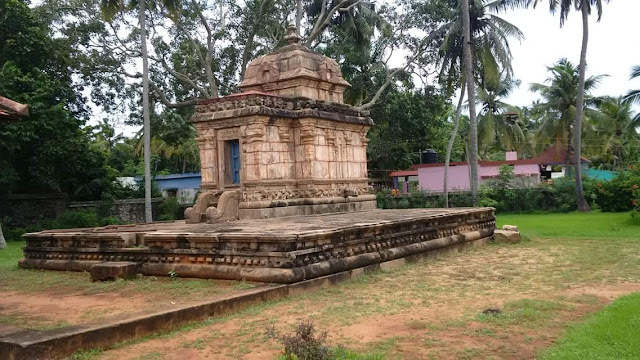 10.Another inscription belongs to 9th Century A.D avails itself of the outer upper base of Naalampalam left or south of the entrance to the Vishnu Temple (of Parthivapuram proper). It is written in Tamil Vattezhuthu. It registers the gift of lands by Kaaman Tadakkan of Kunrathur to meet the requirements for burning Vrischika lamps (Vrischikam-Novemeber/December) in the temple of Parthivasekharathu-deva or God of Parthivasekharapuram and for (them) the garden called Erukkilaiman together with two tadi of punavarai as well as Udikkalmankodu. 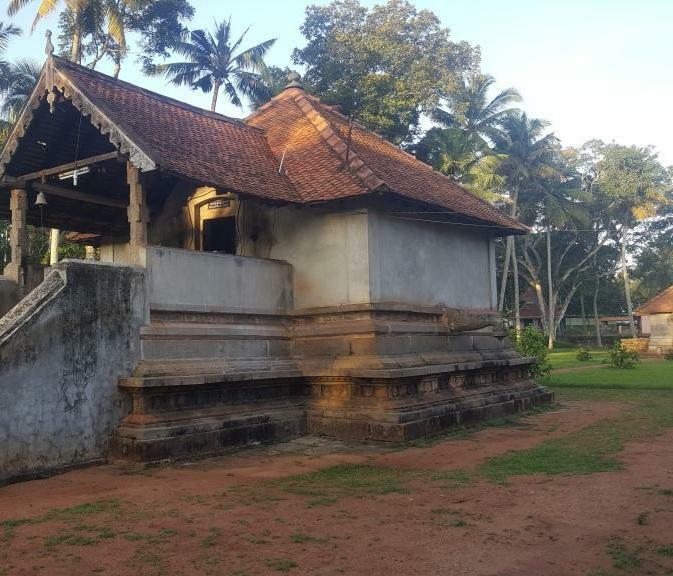 the temple at Parthivasekarapuram was, as we know, constructed by Karunandadakkan, an Ay chief ruling over the eastern hilly region of the Travancore State. It is noteworthy that the donor in the present record is named Tadakkan not as Adakkan. 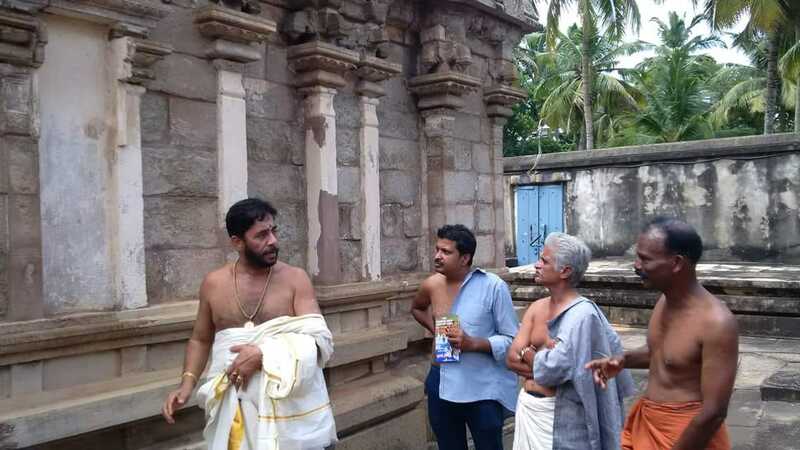 It cannot be stated whether this individual who made a gift of lands to the temple at Parthivasekharapuram,, was himself in anyway connected with the Ay family. 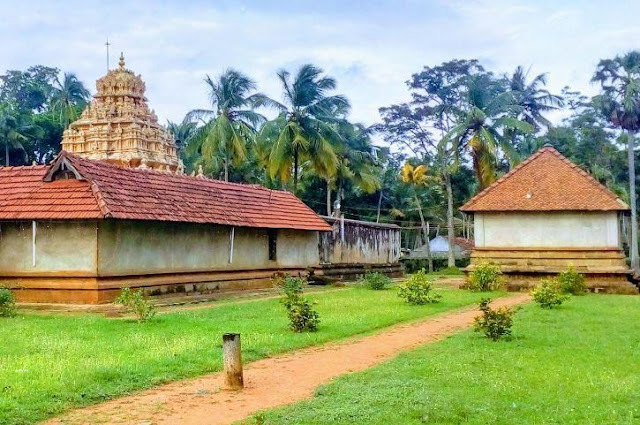 In around the year 1952, the Travancore Devaswom Board handed overall records and items to the present administration under the Kanyakumari Devaswom operating under the HRNC of Tamil Nadu. This information has been given by the people of that area. Malayala Aachaara or Kerala format in worship continues as is true regarding innumerable temples of this district. But much water has flowed under the bridge. Old timers, priests and some devotees recollect with nostalgia and sadness the past glory of this once-famous temple. Instead of a twenty-one strong staff, there are just three today. The Perumal’s grand Uthsava (festival) spanning forty-one days in Meenom (March/April) when the lord would venture forth on His Garuda Vahana has vanished from the temple’s calendar of events. At times vague mention comes up about a gold palanquin Vagana for the Perumal’s pleasure, though it is totally unconfirmed. Mercifully the Uthsava continues though it has shrunk to ten days commencing on the auspicious Vishu day (Sacred to Hindus) in Medom (mid-April). 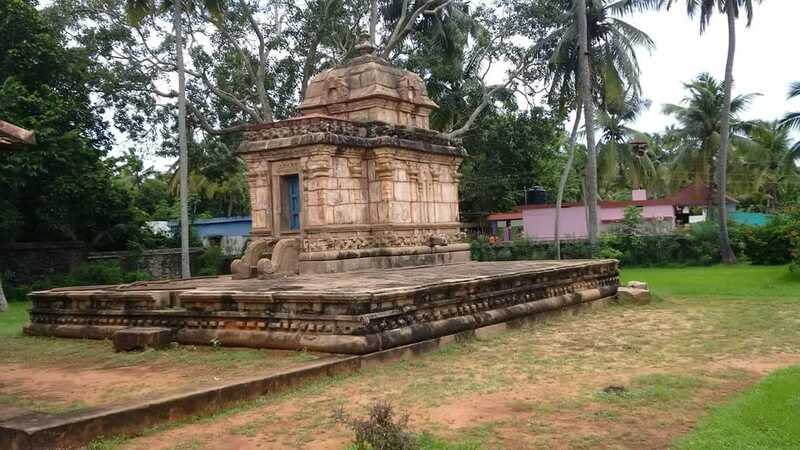 The Garuda Vahana is still there but in lamentable disuse as well as damage and in urgent need of restoration. As such, for His routine and special Siveli circumambulations the Perumal is carried on the head by the priest. In the absence of gala processions like the Arat (Aaraat), all festival rituals are confined within the four outer walls of the temple. On the concluding day of the festival, a special Siveli known as Kaazhcha Siveli is conducted at 5.30 in the evening to be followed by the more complex Sreebhoothabali at 9 at night. Unsubstantiated claims come up at times that at some period the temple possessed a gold flagmast which is believed to lie buried somewhere on the temple premises, due to foreign expeditions. 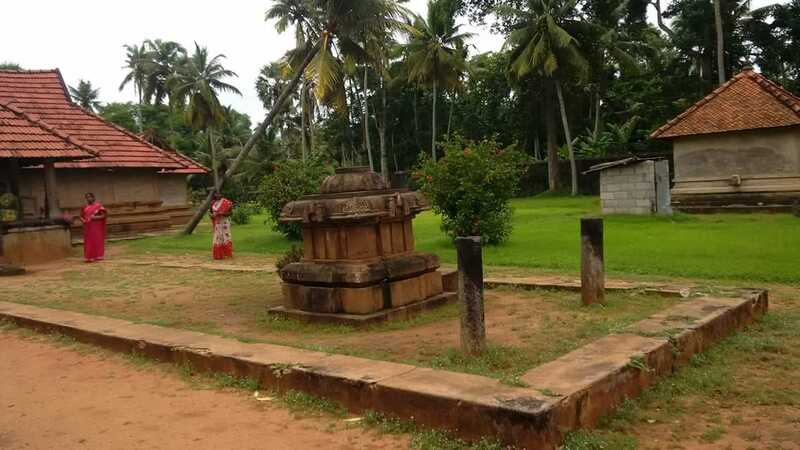 Mention of the idole’ ritual bath in connection with Uthsava lends weight to the presumption of the one-time presence of a flagmast. 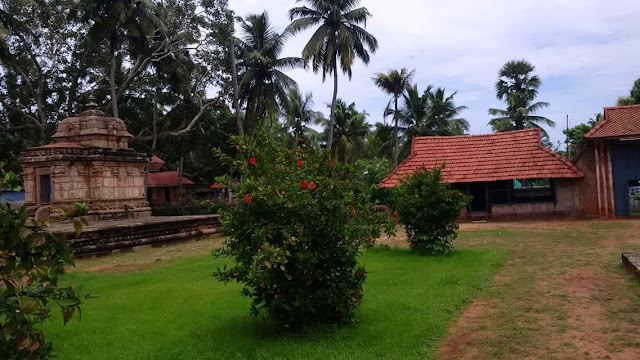 Thiru Onam in Chingom (August/September) which is the first month of the Malayalam year and the sacred Ekadasi coming every moth which is consciously observed in all Vishnu temples, are special here too. As per long-standing tradition Tantra rests with the Neduvilaakathu Madhom. 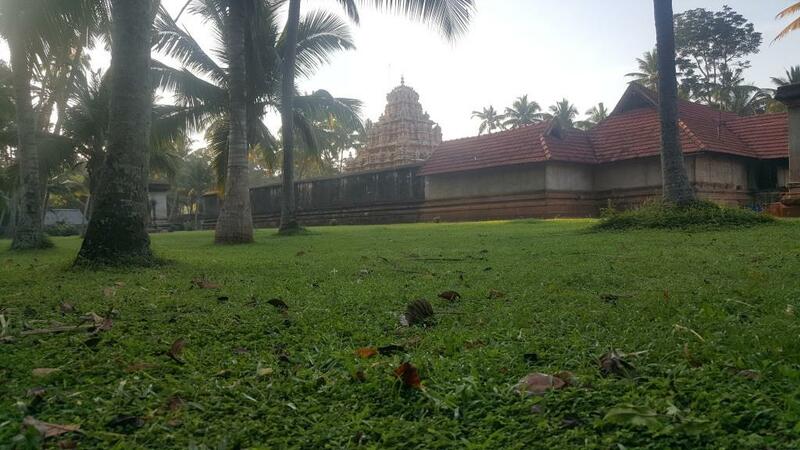 Temple timings are from 5 a.m – 10 a.m and 5 p.m – 7p.m. Parthivapuram Sree Parthasarathy Temple is located in the south-eastern part of Kanyakumari District. Sree Parthasarathy Perumal is the presiding deity of the temple. The God bestows blessings to his devotees. 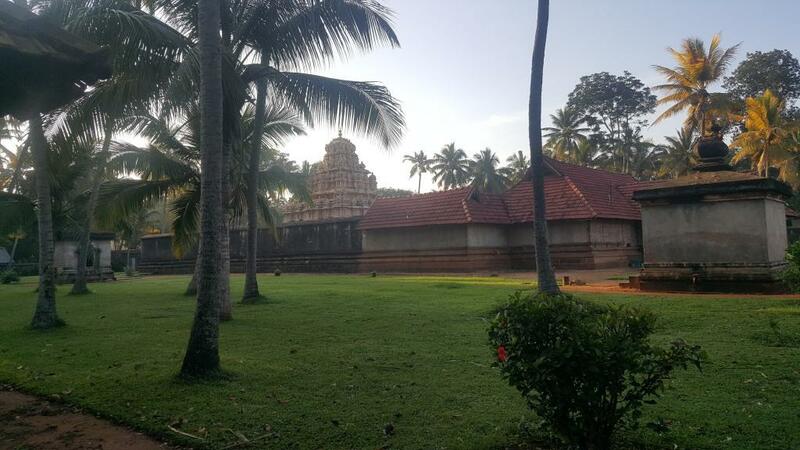 The temple is majestically situated in the midst of sylvan surrounding the coconut trees and natural beauty. Sree Parthivasekhara Perumal, gentle and full of love, bears with equanimity the ills and ails imposed by time and lack of care on his once-vaunted abode. While it still receives the homage of the past, the present has been relatively indifferent and not grateful enough in its approach, with priorities perhaps taking unappetizing shifts. Sree Krishna as Parthasarathy enlightened and activated a desolate Arjuna to action and victory thousands of years ago. Now also may He be pleased to awaken the sleeping conscience and enthuse the sluggish temperament of the collective mind so that fabled tradition, spiritual heritage, man-made but God-given, may nevers fade but flourish for all time. 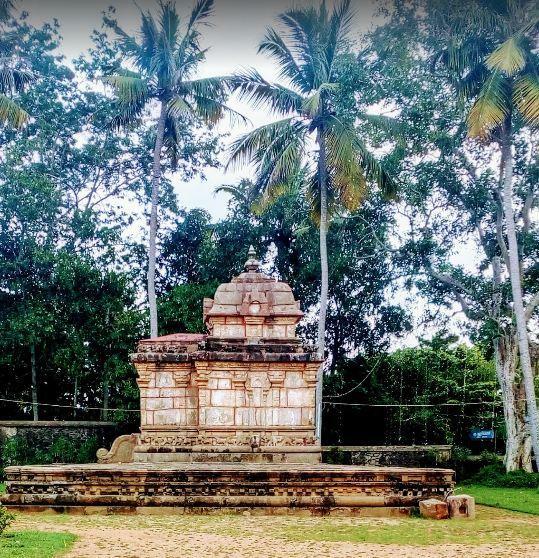 The Ay King Vikramaditya Varaguna wanted to make Parthivapuram as another Kandalur Salai, the famous University which existed somewhere near Tiruvananthapuram at that time (9th Century). However the Parthivapuram Salai failed to surpass the glory and importance of the latter establishment. 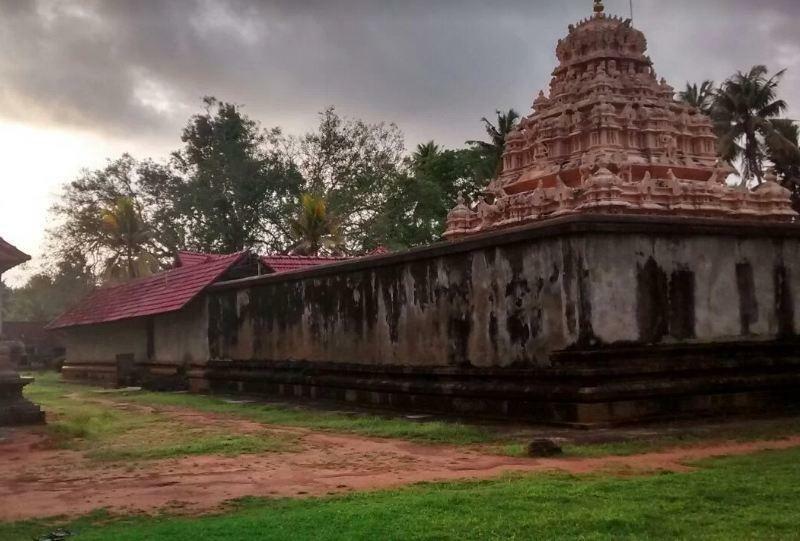 It is also evident from the fact that not a single Chola invasion of 10th or 11th Century was directed against it as was the case with Kandalur Salai. 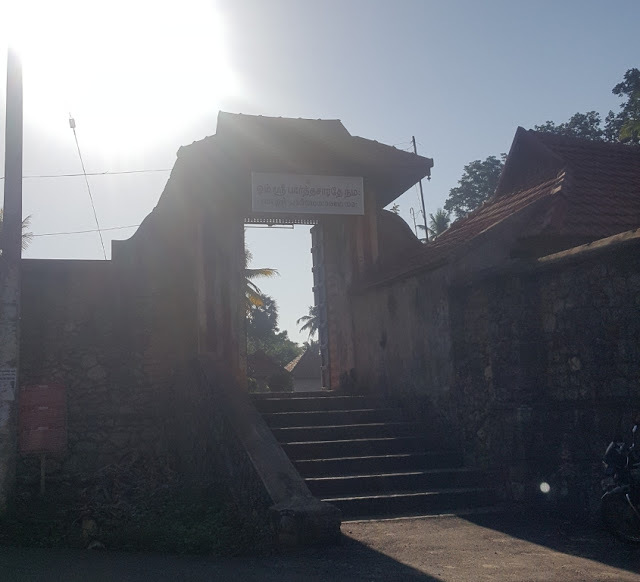 However, it is clear that the Vrishni Kula King made all efforts to build a magnificent edifice in this temple-Salai complex, worthy of his fame and achievement. 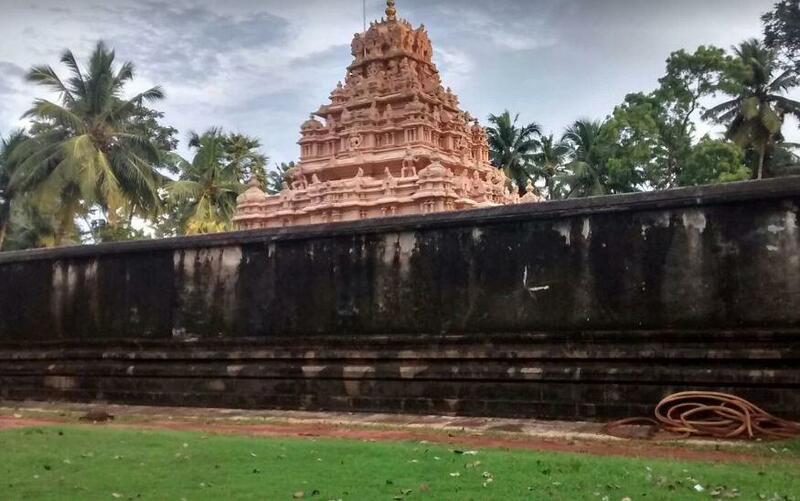 The temple is now a protected monument under the Archaeological Survey of India. As a monument, temple might be regarded as a time capsule to know the social, cultural and economic life of the people through the ages. Above all, the temple served as the centre of cultural and educational activity. It promotes the bond of unity among the people.